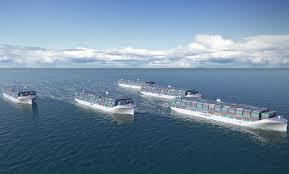 Home › Uncategorized › Driverless cargo ships, what’s next? We previously reported on driverless cars, but have you ever heard of a driverless cargo ship? Based in Alesund, Norway, the Blue Ocean team from Rolls-Royce have developed a simulation prototype, which demonstrates a 360-degree view from the vessel’s bridge. According to Rolls-Royce, they envision a future whereby captains remain docked on dry land and command several cargo ships from a single control center. These so called “Drone Ships” are seen as safer, more environmentally friendly and cheaper. Although, there will be savings made in terms of fuel, due to a lighter vessel and the cost of employing a crew to man the ship, there is also much skepticism in terms of safety standards, the risk of piracy and union opposition due to loss of jobs. We could see “Drone Ships” transporting cargo, including cars in as little as 10 years. Learn more about the current advantages of shipping cars overseas with Consolidated Car Shipping. ‹ Multimodal 2014 NEC Birmingham: Want to meet us?